Sacred Heart Oratory, Meyer, 1950. 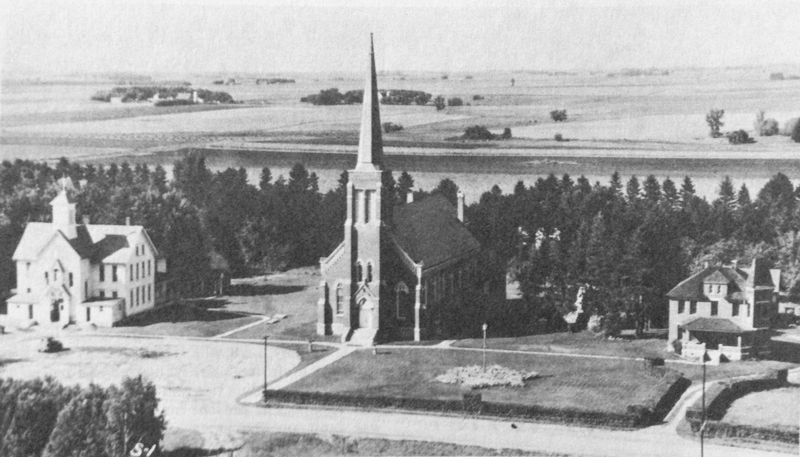 The cornerstone of the present church was laid June 14, 1908. The School pictured on the left replaced the original frame school. It was sold in 1973. The rectory, on the right, was built in 1902. The cemetery site was chosen in 1901. 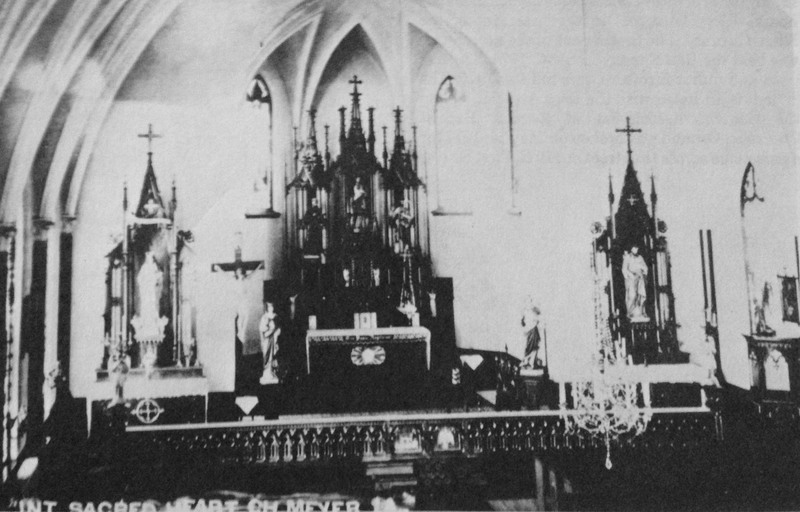 Reproduction of a postcard dated Dec. 1913 showing the interior of Sacred Heart Oratory, Meyer, IA. 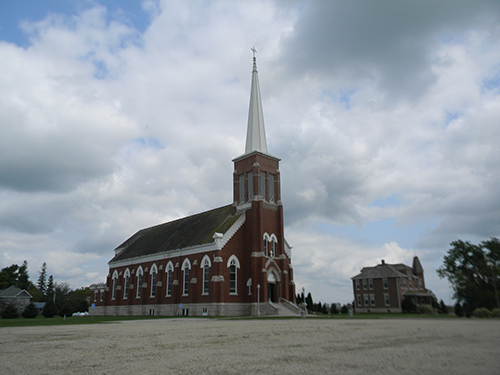 Above photo of Sacred Heart Oratory, Meyer, IA.Taken in 2012.